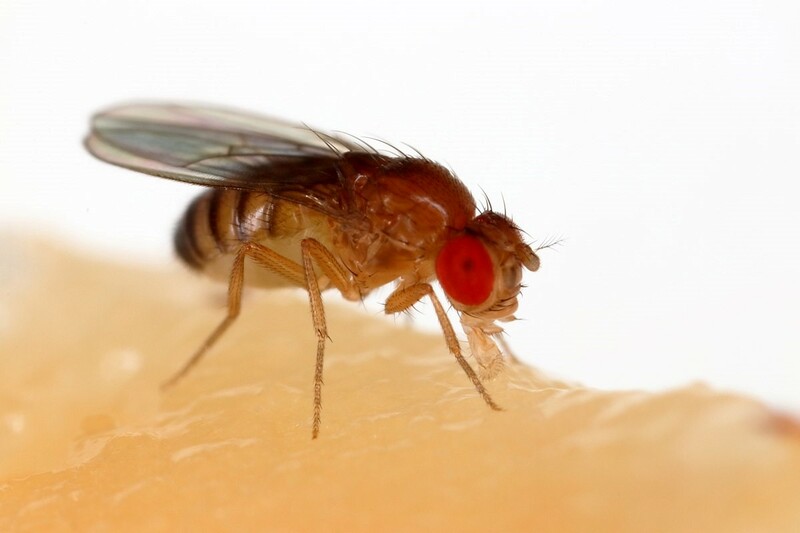 With the snappy name Drosophila melanogaster, the common fruit fly or vinegar fly breeds quickly and lays many eggs. Being only 3-4mm long, including wings, this is a very small fly and it can avoid filters easily. Most filters are loosely fitted into a framework which means that the fruit fly, or its larvae, just crawl around the edges and into the supply ductwork. We only discovered this fact during a recent survey of a laboratory in Oxford. The staff regularly arrived in the morning to find their work areas covered in flies. Further investigation revealed that the air supply system was switched off between 20:00 and 06:00 which gives ample time for the females to lay 400 0.5mm eggs which hatch after only 15 hours. After 4 days the larvae encapsulate into pupae emerging as adult flies after a further 4 days. That’s a lot of flies even if some of them get caught up in the disposable filter media. We decided to protect the external intake by using our double layer BHC media with a plain 19mm vinyl border. The 32mm frame was layered with duct sealant and the RABScreen filter was fixed against the duct sealant with self-drilling screws and grommets. Finally, a layer of sealant was applied to all seams and screws positions to ensure that the flies could not get through. During normal AHU operation, the electrostatic nature of the filter traps and all incoming debris including the fruit flies whilst at other times the complex interlayers of the media make it difficult for the fly to enter the duct. The result was dramatic with very few flies now able to get through the filter barriers. The RABScreen is easily washed or vacuumed and as a bonus, the disposable filters now last longer as they are protected from ALL airborne debris. And finally, it is a little-known fact that the sperm of a fruit fly is actually 1.76mm long which, if converted into human terms, would make the man’s sperm 140 feet long.